According to a recently-released study published in the Journal of Safety Research, young drivers aren’t likely to recognize the risks and the dangers that are associated with driving while they’re sleep deprived. 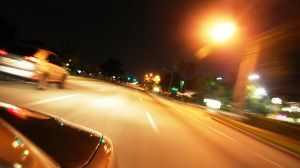 Officials with the National Safety Council (NSC) conducted the study and concluded that driving without enough sleep is just as dangerous as driving under the influence of alcohol. Unfortunately, attitudes towards each of these behaviors are vastly different, especially among young drivers. 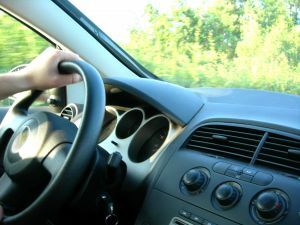 Officials believe that there are thousands killed in drowsy driving car accidents in Quincy and elsewhere every year. The true number may never be known because drivers are not likely to admit to an officer that they were feeling sleepy when the accident happened. 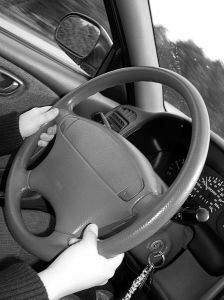 As a matter of fact, officials estimate that about 100,000 accidents are caused every year by fatigued drivers. The most recent statistics from DrowsyDriving.org conclude that nearly 60 percent of those who are involved in these kinds of accidents are under the age of 25. -Young drivers are some of the most likely to be involved in a sleep-deprived car accident. -Among drivers who take long road trips, drivers under the age of 30-years-old are most likely to drive without enough sleep than any other age group. -Some of the driving errors that are made by a driver who is sleep-deprived are awfully similar to the driving errors that are made by a driver who has been drinking. “Drunk driving is universally viewed as dangerous, but young people especially don’t understand the very serious risks associated with drowsy and distracted driving,” said Janet Froetscher, National Safety Council’s presidents and CEO. The truth of the matter is that all drivers need to be aware of the risks that are associated with driving while drowsy. The recent study looked at how drivers of different ages saw drowsy driving and compared those perspectives to their perspectives on drunk driving. Researchers had no difficulty in figuring that young drivers saw sleepy driving as acceptable and understandable, while they saw drinking and driving as a definite no! -Make sure you’re getting at least 8 hours of sleep every night. -Drive with a friend and switch spots when you start to feel tired. -Schedule regular rest stops to get out and stretch. You should stop every 100 miles or at least once every 2 hours. 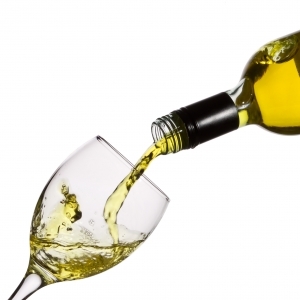 -Never drink alcohol or take any sleep-inducing medications before drinking. What a driver should never do is try to power through the sleepiness. That is one of the worst mistakes you can make. Caffeine will only work for so long, as will loud music and open windows too. If you feel drowsy behind the wheel it’s critical for you to stop driving. You should either switch spots with a passenger or just pull over in a safe area and get some rest! It’s a new school-based brain injury awareness program that’s helping to spread the word about the dangers that come with prom season. One of the main dangers face teens nationwide is the risk for drunk driving car accidents in Boston and elsewhere. That’s why the Brain Injury Association of Massachusetts (BIA-MA) launched the Think A-Head injury awareness program, according to Community Advocates. This program is targeting students from 9th through 12th grade. It’s aim is to help educate through a 60-minute Prepare for Prom program. The program will offer these young prom-goers with tips on how to plan a safe prom and how to effectively fight peer pressure and to avoid dangerous behaviors. Our Boston drunk driving car accident lawyers understand that teens not only need to be aware of the risks that are associated with prom, but they need to know the potentially fatal consequences that are associated with the consumption of alcohol and drugs, especially when driving. This is where the program and parents come in. By talking about these dangers, teens will be more equipped to handle them the right and safe way. “We hope the students take away tactics and strategies they can use during pressure-filled situations to keep themselves and their friends safe,” said BJ Williams, BIA-MA’s Manager of Prevention Programs. Parents are also urged to join in on the program. As a matter of fact, there’s a course specifically designed for this. In this course, parents will learn how to talk to their teens and offer them tailored tips to help keep teens safe during out-of-school activities where they’re likely to face peer pressure. Keeping an open conversation with your teen about the scenarios they’re likely to expect will help to prepare them for how to deal with them when they arise. Car accidents are the number one cause of death for teenagers across the country. Of the drivers who were killed in these kinds of accidents in 2009, about a third of them were under the influence of alcohol behind the wheel. While they’re not old enough to drink legally, it doesn’t mean they can’t get it and that they won’t do it. The Think A-Head program is helping to teach students across the state how to avoid risk-taking behaviors and how to create and adhere to healthy living habits. -Plan out and discuss prom plans with friends ahead of time. -Keep parents in the loop. They’re there to help. -Discuss curfews with parents. Everyone should be on the same page. -Practice saying no to alcohol and drugs before the big night. 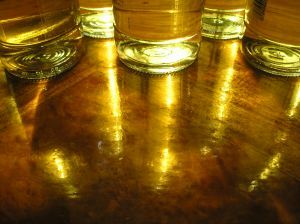 -Parents should take inventory of the alcohol in the home. -Secure alcohol away from teens. -Known who’s driving your kid. -Don’t condone poor choice scenarios by renting a hotel room or offering a place to have a post-prom party. A Foxboro man involved in a recent Massachusetts car accident had to be airlifted by medical helicopter to a Boston hospital. He was injured when he was thrown from a pickup truck that rolled over twice after colliding with another vehicle at South and West streets. The accident closed the busy intersection for about an hour, according to The Sun Chronicle. This was the first of two serious accidents that happened on South Street on Tuesday. The accident happened when the truck, heading northbound on South Street, collided with a car, rolled over twice and ended up on its wheels. Only three hours later, a woman drove her mini van into a utility pole on South Street just about a mile from the first accident. The front wheel of the van was knocked off in the crash. Our Boston car accident attorneys understand that your chances of dying in a car accident during the month of August are much greater than during any other month of the year. According to the Insurance Institute for Highway Safety, 2005 to 2009 statistics conclude that seven of the 25 deadliest days overall on our roadways are in August. The National Highway Traffic Safety Administration also reports that, from its records going back to 1994, more Americans die in car accidents during the month of August than any other time of the year. August has an average death rate of 1.09. September comes in second with a death rate of 1.08. March is the safest month on our roadways with a death rate of 0.94. While the change may seem small, it amounts to thousands of additional accidents. During 2009, an average of 93 people died because of traffic accidents on U.S. roadways every day. That’s an average of one death every 16 minutes, according to MSN Money. You typically face more risks during the weekends, compared to the weekdays. Weekends are a time when residents get out and run extra errands, visit family and take day trips. Weekends are also a time when the presence of drunk drivers increases. Saturdays are typically more fatal than Sundays. In 2009, Saturdays averaged 123 deaths nationwide while Sundays saw an average of 107 deaths. Fridays closely followed with a 102 average deaths. Run all your errands on a Tuesday because that’s your safest time on our roads! Tuesdays have an average of 69 fatalities. One reason for the nation’s high death rate is probably because millions of Americans continue to drive without wearing a seat belt despite decades of pro-belt campaigns. 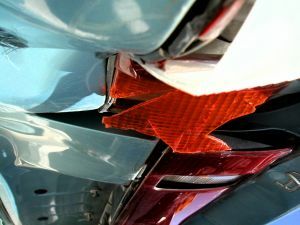 “If everyone buckled up on every trip, we would sharply reduce the number of fatal crashes that we expect to happen this summer,” Rader says. A mother and her two young daughters were involved in a fatal rollover car accident in Boston on Interstate 90 after the mom lost control of her vehicle recently. The vehicle rolled over three times and landed right side up. The two young girls were thrown from the car and the 6-year-old died in the accident. None of the passengers were wearing seat belts, according to Boston.com. Reports indicate that the driver lost control of the car trying to get out of the way of a vehicle that drove into her lane. Massachusetts authorities are still deciding whether or not to file charges against the mother, The Boston Globe reports. She has a record of serious motor vehicle violations. The mother had her license suspended back in March for driving while under the influence of alcohol. She also neglected to place her children in the appropriate child-safety seats. A second Massachusetts rollover car accident left a man in critical condition at a local hospital after an accident on Route 114 in North Andover, according to the Eagle Tribune and North Andover Patch. Traveling eastbound on Route 114, the driver lost control of his sport utility vehicle and rolled multiple times. His car came to rest at the corner of Willow Road and Route 114. The driver was airlifted to Boston Medical Center. The North Andover Police Accident Reconstruction Team is investigating the accident, according to Eagle Tribune. It doesn’t end there. A third rollover accident happened last week on the 800 block of Turnpike Street. The driver was airlifted to a hospital in Boston after his sport utility vehicle rolled over several times. Police report the car rolled over a span of about 200 feet. These are just a few of the rollover accidents that have happened in the Boston area in the last month. Airbags may be one of the greatest pieces of safety equipment in a rollover accident. Side airbags are installed in a number of vehicles to help protect passengers in the event of one of these accidents. Right now, some vehicles are equipped with side airbags. These are airbags that deploy for six seconds to ensure occupant safety in the event of a rollover accident. Other vehicles have side airbags that only inflate for milliseconds. Even worse, there are some vehicles that have side airbags that aren’t even designed to deploy in a rollover accident. These particular types of airbags are designed to deploy only when the vehicle is hit from the side. Another unfortunate outcome of a rollover accident is when a passenger is ejected from the vehicle. It is estimated that more than half of the 10,000 people that are killed each year in rollover accidents die after they are ejected from the vehicle. The longer a side airbag stays inflated, the less likely a passenger is to be thrown from the vehicle. In an attempt to provide more safety measures to SUV occupants, the National Highway Traffic Safety Administration introduced a rollover rating system back in 2001. This system bases a vehicle’s rollover rating on an engineering analysis of each vehicle’s center of gravity and the width between the front tires. The rollover rating scale ranks from five stars, which means the vehicle has a rollover risk of less than 10 percent, to a one star, which indicates a rollover risk greater than 40 percent. Boston sports fans have a lot to be excited about these days with the Celtics cruising through the playoffs and the Red Sox turning their season around after a dismal start in April. Our Boston personal injury lawyers want to remind fans it is never a good idea to drink and drive — so keep the boozing to a minimum if you are responsible for driving yourself home after the game. Alcohol and sporting events tend to go hand in hand. Not only does too much alcohol consumption cause a high risk of drunk driving accidents in Boston, but fans are in danger of assault, vandalism or other alcohol-related incidents during or after the game. Earlier this year, Bloomberg Businessweek reported just how common alcohol consumption is at sporting events. 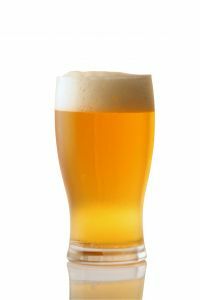 A recent study by the University of Minnesota found that 8 percent of sports fans walk out of the venue legally drunk. -1 in 12 fans left the sporting event intoxicated. -Fans who tailgated prior to the game were 14 times more likely to leave drunk than a fan who didn’t hang out before the game. -Age makes a difference – under age 35 were 9 times more likely to be drunk than over age 35. -Tailgaters admitted to drinking at least 5 alcoholic drinks in 25 percent of the total respondents. Those tested with a higher BAC admitted to almost 7 alcoholic drinks prior to the game. There were only an average of 20 volunteer participants after each game who participated in the study. Almost 60 percent of respondents were male, 55 percent were between ages 21 and 35, and a small percentage was age 51 or older. When putting the statistics into simple terms, venues that hold upwards of 50,000 to 100,000 fans, 4,000 to 8,000 are leaving the venue too drunk to drive. A general rule at most baseball stadiums is that the last call is either 2 hours after the first pitch or during the 7th inning, whichever comes first. A recent article in the Boston Herald reports that the more money you can afford to spend on a ticket at Fenway determines how long you can actually drink at the game. The middle-class patron who pays for the cheap seats at Fenway get cut off by the standard tradition. However, those fans who can afford field box seats, Dugout Seats’ Absolut Clubhouse, Gosling’s Dark and Stormy boardroom, Pavilion Suites, and the Legends Suites at the Monster Corner can start partying 2 hours before the game through an hour after the final pitch. 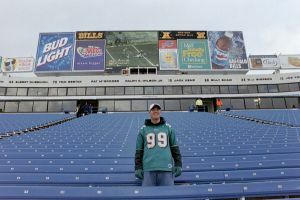 It is almost as if rich fans are immune to being over the legal limit, unlike the average Joe. Sports fans are completely in control of determining how much and how long they can drink before safety becomes an issue. Make the responsible choice to not drink at all or designate a driver to get you home safely before you put yourself in danger of a drunk driving or other alcohol-related accident. Your new car could eventually come equipped with an alcohol-detection device if the federal government gets its way. This option could be available within the next 10 years if proposed funding goes through, according to KSDK News. These detectors could possibly help reduce the risks of Boston drunk driving accidents. Our Massachusetts personal injury lawyers recognize the personal liberty arguments that will no doubt be made — but we also understand that many serious and fatal car accidents in Massachusetts are caused by chronic DUI offenders. We first reported on the issue in January on our Boston Car Accident Lawyer Blog. “We’ve worked on behavior modification for the last 30 years, but we’re still killing almost 11,000 Americans a year,” said Laura Dean-Mooney, national president of Mothers Against Drunk Driving (MADD). The next best option is the installation of alcohol-detection devices, she believes. While still in the developmental stages, Driver Alcohol Detection System for Safety (DADSS) will be able to test a driver’s blood alcohol content (BAC) through either a touch-based approach or a breath-based approach, reports the National Highway Traffic Safety Administration. The DADSS is a feature designed to keep intoxicated drivers from operating their vehicle if their BAC exceeds the legal limit. The NHTSA reports that nearly 11,000 people died in car accidents involving a drunk driver in 2009. This number makes up 32 percent of all fatal crashes. “Whatever the future holds for these advanced drunk driving prevention technologies, one thing remains clear; no technology can, or should, ever replace a driver’s personal responsibility not to drive drunk,” the Administrator said.